Slip pit California dried apricots are the VERY best apricots. We take whole California apricots and dry them whole with the pit gently removed. They are the moistest, meatiest dried apricots on the market. 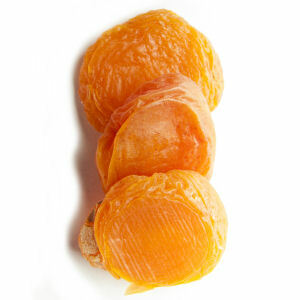 Because they are grown locally, these dried apricots have a distinctively fresh flavor. These are REAL California Blenheim apricots; not imports. Resealable bag.